There are multiple ways to sell Paris to someone who has not fallen in love with it yet. The most obvious way would be to praise its rich cultural life, the uniqueness of its lifestyle, the beauty of its streets. Paris has been such a dream destination for so many years that one would almost forget that it also has some more practical assets such as great work and economic dynamism, top of the class research and innovation pools, excellent infrastructures that convince many entrepreneurs every year to expand or start a business there. Let’s have an exhaustive look on what Paris has to offer. Paris is a huge city but there is actually a whole region behind the capital with a 12.1 million population, 9.1 million visitors in the main conference and exhibition centers and 44.9 million tourists. Parisians and commuters are a young and cosmopolitan population. 13.4% of it is foreign (Africa, Europe, Asia, Americas). People from all over the world come here to live, study, work or visit. The workforce is highly qualified. The Paris region gathers 23.1% of all jobs in France and 35% of French executives. The working population is aged between 25 and 39 (39%), 49% are women and 39.5% are university graduates with an international focus. 1 out of 6 jobs in Paris region is in a foreign company. Education in France and particularly in Paris is internationally recognized. There are 678.159 students in Paris and some of the best business schools (HEC, ESSEC), engineering schools, prestigious universities (with great programs in science, medicine, literature and management), specialized schools among the most famous worldwide (Cinema, fashion, art) which makes it Europe’s largest concentration of higher education students. You can attend 143 bilingual programs in 17 different languages. Paris is an attractive region for foreign talents. More than 100.000 students come from overseas. Paris region is a major business hub and is the number one region in Europe for hosting the world’s top 500 corporate headquarters. Concentration of jobs, business startups (8 to 10.000), many successful SMEs/SMIs also justify its economic dynamism. Paris holds 30.3% of France’s GDP which is the equivalent to that of the Netherlands for instance. It is the highest GDP in Europe and an access to 500 million European consumers. Paris is often named as a city of opportunity, of influence, of attractiveness when it comes to potential investment. All kind of specialized business are thriving in Paris from insurance to cars, logistics, retail, aeronautics, services, food industry, etc. and with a nice export rate (18.6% of France’s exports) with many countries, the USA, Germany and UK being the top 3 partners. Many foreign companies have settled in the Paris region from Randstad to Disney, from Ikea to H&M. Paris and its region have the highest R&D expenditure in Europe with a total investment of 19.802 billion euros! Paris has harvested 31 Nobel prizes and 11 Field medals. It has a solid number of elite schools and research programs. Almost 5.000 foreign researchers (among a total of 100.000 researchers) settle in Paris i.e. 46.5 of foreign researchers in France. Nearly 500.000 scientific publications are registered in Paris region and 7.682 patents filed (highest number of high-tech patents filed). It seems that Paris inspires both excellent ideas and opportunities to a great number of people, something in the air maybe!? As a result it is also the number one region for developing start-ups in Western Europe. Paris region has Europe’s largest inventory of business real estate. Paris is also twice as cheap as London in occupancy cost; plenty of office space (53.1 million m2) and 5.6 million housing units. There are also a multitude of work spaces from coworking spaces to fablabs in all kind of areas, from tiny authentic Parisian streets to extremely modern business district such as La Defense (4th largest business district in the world). Over 130.000 m2 of space are dedicated to startup incubators and accelerators. Much more will be available in 2020 including 34.000 m2 at Station F, the world’s biggest startup campus founded by French entrepreneur Xavier Niel. Paris region benefits from a significant capacity in logistics real estate (warehouses) as well at very competitive cost with great access and facilities whether you want to use road, waterway or railway logistics. Paris region has a practical and dense transport infrastructure. Inside Paris is served by a great network of subway lines, buses, and express suburban trains. The urban subway system is expanding thanks to the Grand Paris Express which is the largest urban renewal project in Europe (120 miles of new track, 72 transit stations). Get where you’re going with 3 international airports (Orly, Roissy CDG, Le Bourget), high-speed rail that put you 2h15 from London; 1h25 from Brussels; 3h from Frankfurt; 4h10 from Amsterdam. Hotels, restaurants, entertainment and culture all over the place, Paris welcomes 44.9 million tourists every year including 18.4 million foreigners. After a slow down, Paris has taken its throne back as one of the world’s favorite tourist destination, generating 19.2 billion euros in economic benefits. It is also the number one worldwide destination for corporate meetings. Paris is the largest conference center in Europe with 413 tradeshows from Paris Motor Show to International Paris Air Show with all kind of fun and trendy ones like Paris Game Week, Paris book fair or the very fancy Maison & Objet (home décor and lifestyle structure). In 2024 Paris is welcoming the Olympic and Paralympic summer games. 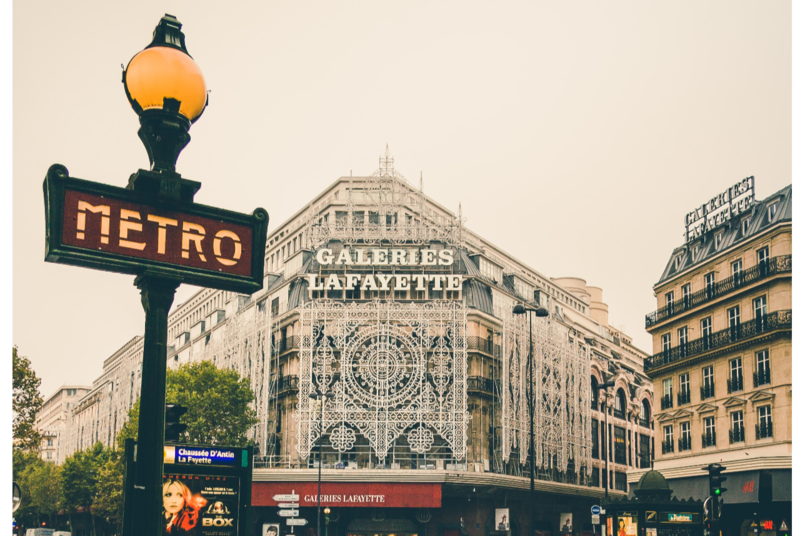 Last but not least, Paris has an amazing vibe, many facilities from excellent hospitals to gorgeous public parks, shopping areas and an amazing food offer. On a more practical note, Paris is 33% cheaper than London, France has a great healthcare system, nice schools, environmental focus and sustainable services, etc. Renting is high but pretty decent compared to other capitals and you can find cozy apartments in lovely and yet very different neighborhoods if you decided to move in as an expatriate. Initiated in 2016, the fruit of a partnership between the State, Île-de-France and the city of Paris, "Choose Paris Region" provides foreign companies locating in the Parisian region with a one-stop shop for making all of their procedures easier. France also has the most generous research tax credits in Europe and visa procedures have been facilitated for qualified expatriates (passeport talent) including the most favorable tax regime in Europe. “In October 2017, officials with a b district in Paris had posted cheeky billboards in London’s airports and train stations, quipping, “Tired of the Fog, Try the Frogs! Brexit might end up being a great business opportunity for Paris.